Charcon Hard Landscaping has successfully completed a significant delivery of over 4,500m2 of paving to the construction of Broadway Plaza in Birmingham. A key requirement was sourcing high-quality material, suitable for a high-volume pedestrianised area, with an emphasis on safety. Assessing the brief, the Charcon team suggested the use of its Appalachian flag paving, a uniquely formulated granite aggregate which provides a top-quality paving solution suitable for high volume pedestrian areas. More than 3,500m2 of the paving was supplied in Leemoor and Charcoal hues, and the result was stylish hard landscaping with a strong visual appeal. Visually complementing the Appalachian pavers, Charcon also supplied 1,000m2 of their EcoPave Textured paving, contributing impressive durability with 50% recycled or reclaimed materials. 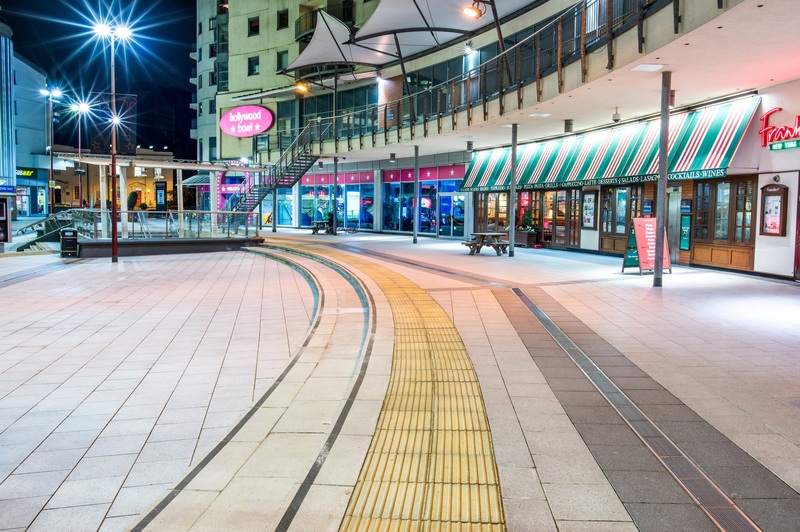 With an emphasis on health and safety of this pedestrianised area, more than seven tonnes of Charcon Ultrapave were supplied. The reinforced paving prevents trip hazards whilst offering the appearance of natural granite, ideal for urban pavements. To complete the package, Charcon supplied over 1,100 units of bespoke paving in order to meet the specific design and safety requirements for the project.